We are entering another busy period of hard work and real progress! 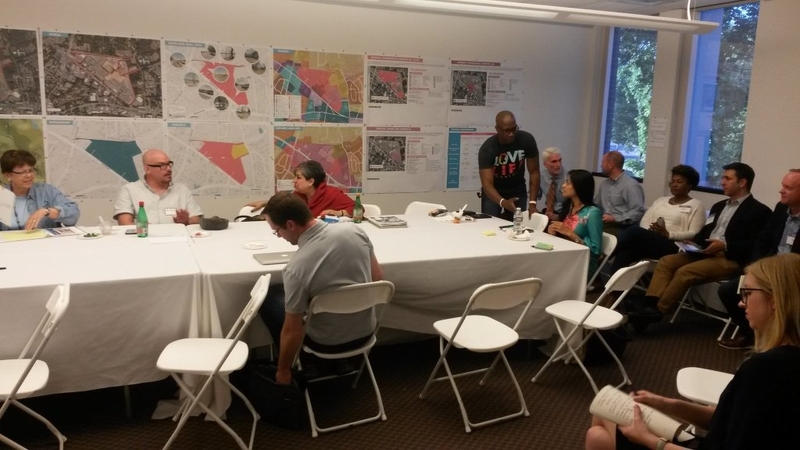 Our Eastland Advisory Committee and the Jacobs Engineering group continue to research, strategize and plan the critical Eastland Redevelopment project. Comprehensive feedback from developers' and community leaders' are being prepared for presentation to the Charlotte City Council. Along with my City Council colleagues we recently passed some very important infrastructure and transportation initiatives that will help East Charlotte. Our area is also seeing some wonderful growth and opportunities in business development, job creation, neighborhood improvements, public art projects, and education. Read on to find out what's happened in the past two weeks! Very positive progress for the Eastland Redevelopment occurred last week. We focused on the private sector feedback to gain a clear understanding of the development challenges. We had over 35 key developers visit us on Monday and Tuesday of last week and they discussed potential challenges regarding infrastructure, connectivity and walkability challenges. They also discussed the regulatory barriers developers may face in the Charlotte-Mecklenburg area. We also held valuable discussions with business leaders and community members at the Local Business Open House. Jacobs Engineering Group will be presenting the developers' feedback and recommendations to the Economic Development Committee at the meeting on June 8th and to the entire City Council later in the month. This will be a great opportunity for the City to expand jobs and economic opportunities throughout all parts of Charlotte, and to address ongoing community needs regarding economic mobility and long term, good paying jobs. To read more about the developers' concerns and the city's next steps, read this Charlotte Business Journal article. Also, we had a "Tactical Urbanism" event at the former Eastland site on last Thursday. Councilmember Patsy Kinsey joined us. 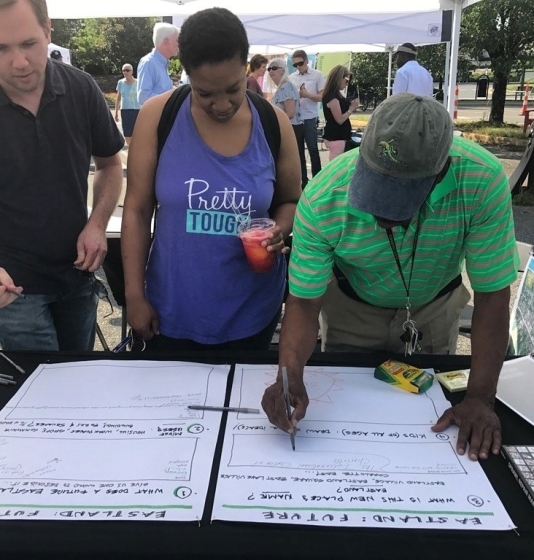 The event was focused on short-term activities we can do to keep the community involved in and informed about the site while we continue to work on the long-term development plan. 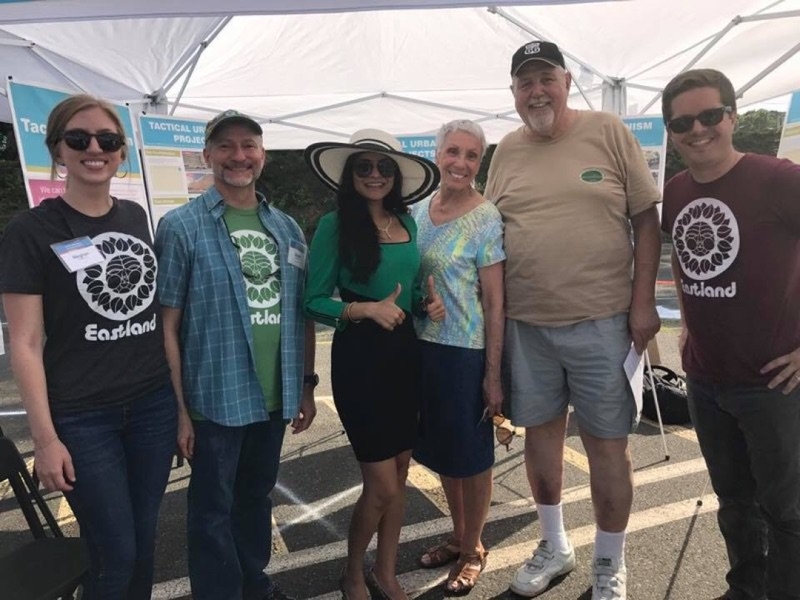 Local artists, food vendors, and musicians attracted many residents and city storytelling booths allowed them to provide their valuable insight about Eastland. Overall, we had a great turn-out and were met with enthusiasm from the local neighborhoods. Please stay tuned as we tackle this exciting undertaking by helping engage in short-term activities and planning a sustainable development on the site. For continuous updates on this project, visit the Eastland page on the city's website. 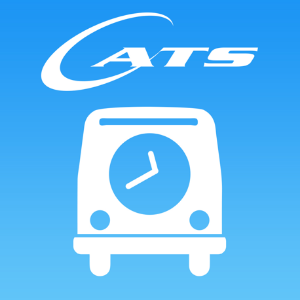 The technology behind the new Charlotte Area Transit System (CATS) Mobile App is the first of its kind. Once its two phases are completed, it is going to make the transit riding experience very smooth! Phase One will give riders an ability to pay for their transit ridership via the Mobile App. It's a very important and much needed service for our county because one in four riders in Mecklenburg have no access to a bank account. The CATS App will be the first app in North America to enable these riders to pay through their phones! Phase Two goes even further by linking a riders' transit accounts with services such as Uber and Lyft thus allowing them to plan out their entire trip. What's more, riders will be able to pay for their whole trip (including for the Uber or Lyft) through the CATS Mobile App account. That's cool. This cutting-edge technology will help us address the long queue to ride the bus, especially during the rush hour. 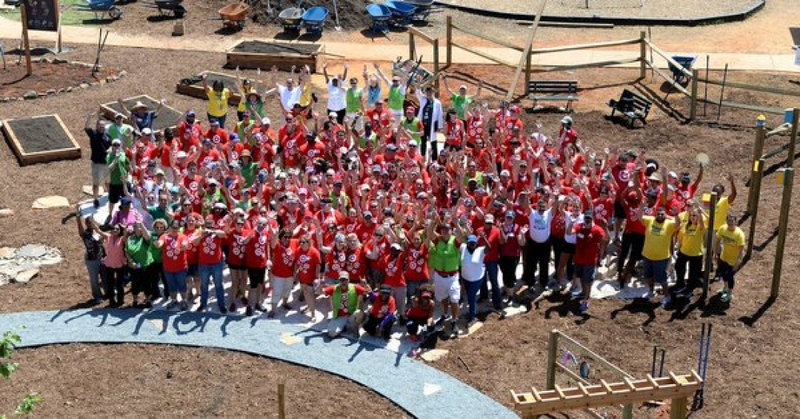 To learn more about this incredible advancement, read this Charlotte Agenda article. At the City Council meeting on Monday, we approved the "Southeast Corridor Sidewalk & Bikeway Improvement Program" that will provide 4.37 miles of sidewalk total between the following two projects; The South Ped Bike Boulevard in the Independence Blvd area and The Briar Creek Road Connector from Commonwealth Avenue to Monroe Road. This project will make it safer to walk in the Southeast Corridor, attracting more pedestrians and cyclists to the area and allowing residents easier mobility. In this way, creating sidewalks and bikeways should bring more clients to local businesses. It's also good for the environment! 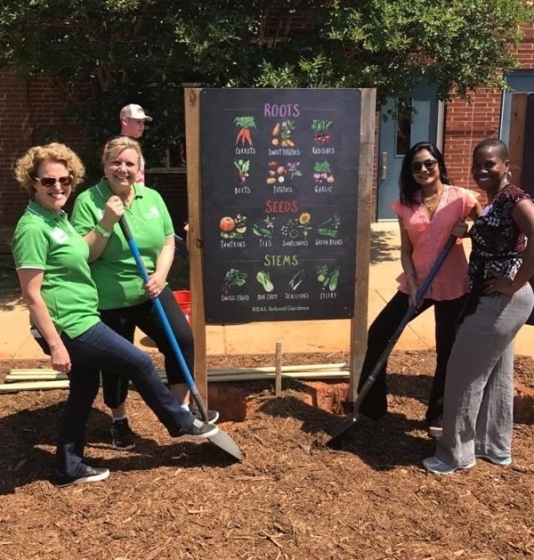 Also on Monday, May 22nd, the Federal Emergency Management Agency (FEMA) designated the City of Charlotte a Class Four Community through its Community Rating System (CRS). FEMA recognized the City's continued efforts to increase flood resiliency, effectively use its land, manage storm water, and protect the environment. Our amazing Queen City is now one of only 12 communities in the nation to receive this honored designation, placing Charlotte in the top 1% of 1,200 participating communities! As a result of the City's participation in the CRS program, flood insurance rates have been lowered here in Charlotte. Residents now qualify for a dramatic 30% discount in flood insurance premiums thanks to the City's hard work! Eligible organizations can receive a $1,500 match credit towards their next Neighborhood Matching Grant application! Learn more and register by June 11th at www.charlottenc.gov/neighborhoodtraining! If you have any questions, contact Steve Wood at SWood@CharlotteNC.gov. According to the Charlotte Chamber of Commerce's Quarterly Report 328 businesses added 4,558 jobs and made $270 million in capital investments during the first three months of 2017. That's a robust 70 percent increase in employment growth compared to the first quarter of 2016. Read the full report at the Charlotte Chamber. Thanks to all our local businesses that are hiring Charlotteans and investing in our amazing Queen City. Expect more jobs and growth in the coming months as we move forward on the Eastland redevelopment project! Also, I am looking for active adults to help me reach out into the community in new ways! 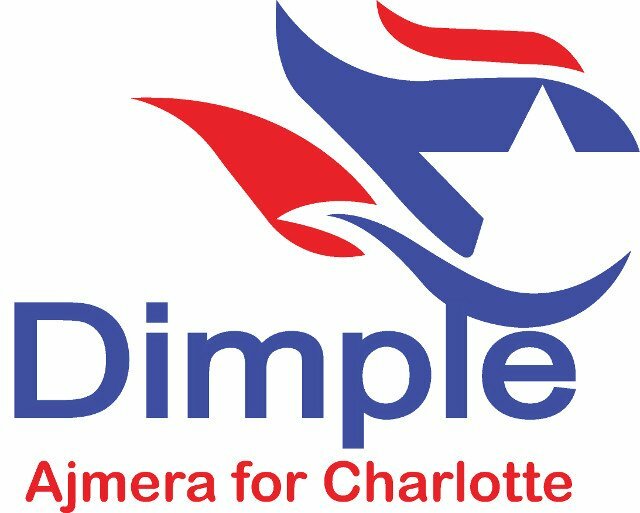 Please contact my communications director at Carlina@DimpleAjmera.com if interested. The Arts and Science Council is funding a new art and architecture project in East Charlotte! The City is planning to build a new facility at 7025 Albemarle Road for the Charlotte-Mecklenburg Police Department Hickory Grove. I'll keep you updated on the building's progress. 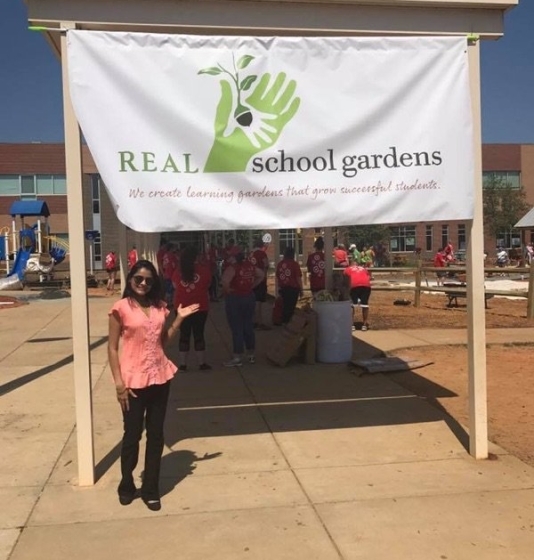 Last Friday, REAL School Gardens, the East Charlotte community, and enthusiastic volunteers came together to build an outdoor garden classroom at Idlewild Elementary School. Watch the Charlotte Observer's video coverage. I was honored to be a part of the "Big Dig" event and support this innovative, outdoor learning endeavor. 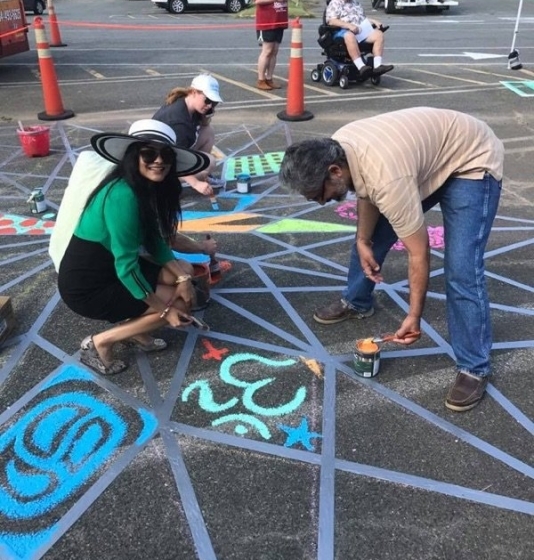 Also, Aldersgate Retirement Community donated one of their facilities to host OurBridge's programs for immigrant and refugee kids as well as their own summer literacy camp for local elementary students. It's wonderful how they are bridging the intercultural and intergenerational gap to foster learning and growth! 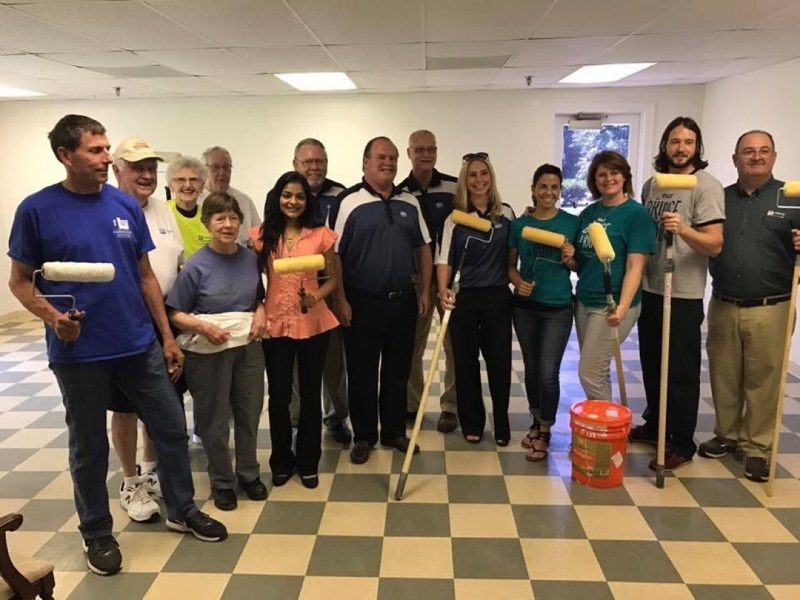 Preparing to paint the donated space with a great team of Aldersgate and OurBridge staff and volunteers! The Special Operations Medical Association (SOMA) is the only medical association in the world that brings together the unique blend of pre-hospital, tactical, wilderness, austere, disaster and deployed medicine. Their primary goal is to advance the art and science of special operations medical care through the education and professional development of special operations medical providers. On Wednesday night, I attended the S.O.M.A. gala and was honored to support their scholarship fund. I realized that we often do not recognize the service of our S.O.M.A. and civilian medics, who risk their lives to save the lives of their comrades and countrymen. This Memorial Day Weekend, I want to thank these men and women for their selflessness as they go above and beyond the call of duty. I also want to thank all our armed forces veterans and all the military personnel currently serving on active duty or in the reserves. I so appreciate your service and personal sacrifice and I wish peace to the families of the fallen. Enjoy your Memorial Day Weekend everyone!